Finding the perfect present for your dog loving friend or family member may seem overwhelming at first. But here’s a little tip that will help you cut through the clutter—get to know the owners well, as well as their dog’s breed, and any conditions or problems their dog may have. This will make the buying task simpler, and more personal. Next, you’ll need a few good ideas. In my opinion, the following gifts would probably fit most dog lovers tastes since they’re all aimed at things like keeping their dogs safe, healthy, and happy. I even managed to get one in just for the owners. 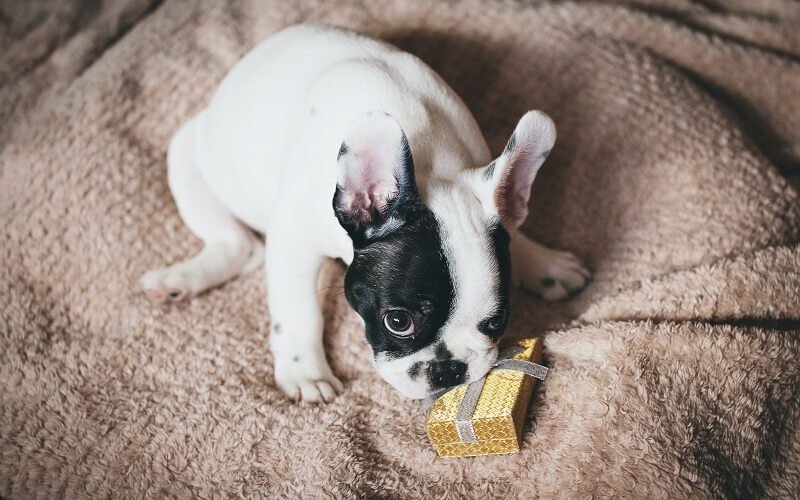 In this post, I’ll share the best gifts for dog lovers. Whether it’s Christmas, a birthday, or any other special occasion, here are our favorite picks. Dog owners love long rides with their dog, so it’s very likely they’ll appreciate a gift that protects their car interior. Let’s face it—dogs are quite messy. These furry creatures leave behind hair, drool, and dirt from their paws. Not to mention pee accidents, which can be a pain to get rid of. That’s where seat covers can come into play. 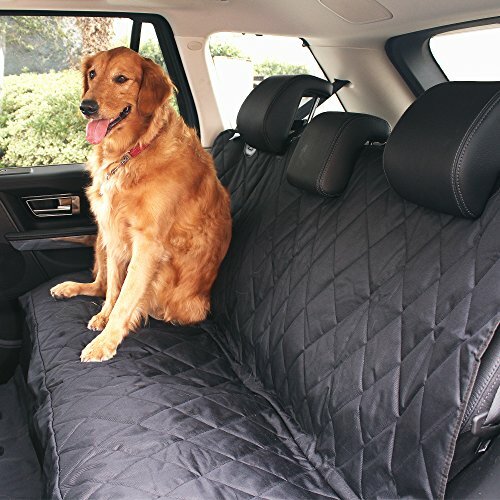 Not only do they protect the vehicle from dog’s shedding and claws, but they’re also extremely convenient, particularly for owners who take their dog on trips. All things considered, BarksBar Car Seat Cover (Amazon) is, without a doubt, the best back seat cover for its price. If you like to read more, or explore other options, you can check out our best seat covers for dogs. Next, is a wonderful gift idea for rescue dog owners who aren’t sure about their canine’s breed. Apart from learning about the dog’s family tree, knowing the dog’s breed mixture can also help in understanding key medical issues. This includes everything from recommended weight, nutritional needs, and some tests even check for drug sensitivities. The Wisdom Panel 3.0 (Amazon) can go back three generations, and detect for more than 350 breeds, as well as give you breeds details and percentages. This is also the only licensed test to do drug sensitivity screening. And don’t worry, taking a DNA sample from a dog is easy and not intrusive—all it takes is a simple cheek swab. A few weeks after the DNA test has shipped back to the lab, the company will send a detailed report over email. Do you know any dog moms or dads who enjoy their wine? Then don’t skip this gift. This premium 13 oz. funny wine glass (Amazon) is designed and made in the USA, but there’s no doubt that dog lovers all around the world will love it! By the way, the product already comes in a white gift box, so all you’ve left to do is just give it away. Suitable for Mother’s Day, valentine’s day, anniversary, housewarming, office work party, or just as a cute friendship present. Sadly, dogs are lost all the time, and some of them are never found. Dog owners know it, and that’s why I’m confident they’ll be thrilled about this gift. It’s important to say that we’re not talking about a Bluetooth pet tracker, which has a very limited range. The Whistle 3 (Amazon) has GPS tracking, along with a 3G internet connection that can track the dog across the whole country. It’s able to withstand rough conditions, including getting wet. Also, the battery life is impressive, and can last up to 7 days after a full charge (depending on different factors, such as the strength of the cellular coverage). The device simply attaches to the dog’s collar or harness, but owners will have to pay a low-cost monthly fee for a cellular connection. A small price to pay for the peace of mind. 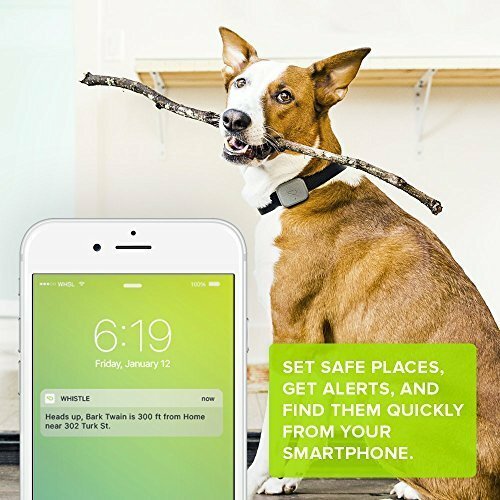 Dog lovers who can’t keep their dog inside their property, or who are afraid that he will run off while traveling, can really use one of these gifts. These require some work, but it can be a lot of fun. Basically, you need to put a wire underneath the ground and then plug it into a transmitter. The wire is responsible for setting the boundaries, so that the transmitter can send a static correction to the dog’s collar once he steps out. They’re easier to install and carry with you since you only get a transmitter and a collar that communicates with each other. The former sets the radius, while the latter used for correcting the dog. For a buying guide and products recommendation, go to our blog post on electric fences for dogs. Custom bowls are something dog lovers don’t get every day, which is why it’s such an excellent gift. This product is your typical stainless-steel bowl with a rubber ring around the base to prevent it from moving around. What makes it so special is that it comes engraved with the dog’s name of your choosing. You can also choose between three bowl sizes to match the size of the dog. While you’re at it, consider making it a set with one bowl for food, and one for water. You can be creative and use different personalized text, but be aware that the maximum you can write is two lines of up to eight characters each. Let me tell you from experience—this is hands-down the most helpful gift a tidy dog owner can have. Dog hair and dander tend to pile up rapidly, but not everyone has the time (or the strength) to move furniture, and clean their house every single day. 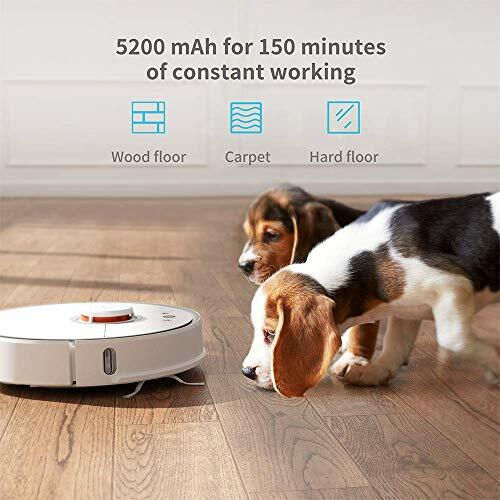 Fortunately, robotic vacuums make things a whole lot easier, and some of them have even been designed with dog lovers in mind. For example, the Roborock S5 (Amazon) comes with a rubber brush that’s made to avoid tangles. Also, due to its low profile, this vacuum can slide underneath furniture, which is where most hair and dander tends to accumulate. A comfy mattress is a thoughtful gift, not only for healthy dogs, but also for elderly or arthritic dogs. Like us, as dogs get older, they tend to move less. This means they’ll spend more time in their spot, taking naps and relaxing. Additionally, senior dogs tend to suffer from joint and hip pain, so it’s important they have a bed that can provide long-lasting comfort. One example would be this BRINDLE dog bed (Amazon), which is a high-quality, memory foam mattress that helps relieve achy joints, arthritis, and hip dysplasia. It can be used inside a crate, or even outdoors, as it’s relatively lightweight. Plus, you can remove the cover and wash it in case it gets dirty. Who doesn’t like to spy after their dog? With this gift, they can even play with their furry pal while they’re away. Beside the full HD resolution and the night vision, the Furbo Dog Camera (Amazon) can also be filled with dog treats, and be scheduled to throw one every hour. For a personal touch, dog owners can even do it manually from their iOS/Android app! The camera can also detect barking. In this case, the two-way chat can be used to calm down the dog. Or better yet, play another game of catch. Ideally, kennels should feel more like a home than a cage. For some dog owners, this gift will be a refreshing upgrade. 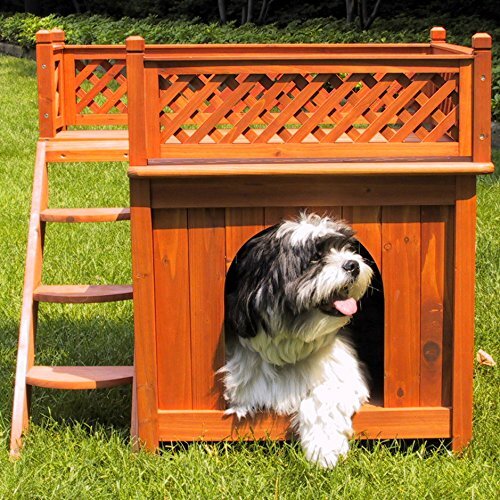 This pet house is designed for small dogs and puppies under 12 pounds, and it even comes with a small balcony for lounging. The kennel is very simple to assemble, and it can even be modified to remove the roof, or replace the side steps with a ramp. As a bonus, the cedar wood has a natural, calming scent that may help anxious dogs sleep better. So, it’s basically a gift for you too! These were my top and favorite best gifts for dog lovers. Please take a moment to rate this post, and leave us your comment or question below.